Forage Extender 20 - Hudson Livestock Supplements Inc.Hudson Livestock Supplements Inc. 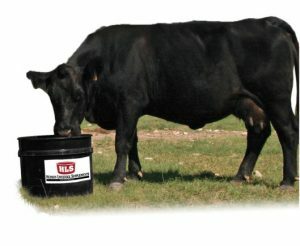 The HLS™ Forage Extender 20 is designed for Cattle, Sheep and Goats running on pasture or hay where additional protein is needed. A combination of these animals may be pastured together without a problem of nutrient toxicity. HLS™ Forage Extender 20 is formulated for all types of livestock grazing separately or together on pasture or harvested forages. It is fortified with vitamins and minerals, along with a high-energy content. HLS™ Forage Extender 20 will help livestock perform to their genetic potential at a very economical cost. *Provide access to fresh water at all times.